Sudden Cardiac Arrest (SCA) kills more than 33,000 people in Australia each year. It can strike anyone, anywhere, at any time and in most cases, without warning. Without treatment, victims have only minutes to live. With quick response, this condition is readily treatable with survival rates well over 50%. Unfortunately most of the time, the necessary life-saving equipment does not arrive in time. As a result, typical survival rates are only 2%-5%. 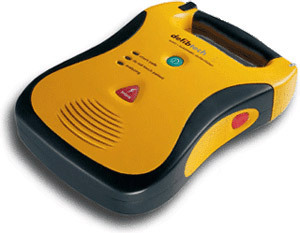 The Defibtech AED - reliable performance at a price you can afford.